The Band | Gordon. St.
Schenectady, NY based rock combo, Gordon St. is made up of veteran Local 518 musicians Dan Noonan (lead vocals, bass), Ritch Harrigan (vocals, guitar), and Jason Nowak (drums, vocals) and have been recording and performing in New York’s Capital Region for over a decade. In February 2019, the band released its first new single in two years, “Deleted Scenes” produced and recorded by Tim Lynch of the Recording Company. Selections from their past releases “Telenovella” and “Electric City” received regular airplay on Capital Region Radio Stations, WEXT, 97.7 FM and WEQX 102.7FM. WEXT also named the group’s singles, “Peggy Beans” and “Motion of the Ocean” as part of their Top 60 Songs of the Local 518 in 2012 and 2014 respectively. Gordon St. is proud to be part of the Capital Region and have shared the stage with national acts at venues like the WAMC Linda Norris Auditorium, Dinosaur BBQ Troy, and the Van Dyck. They’ve also performed as part of the Freedom Park Concert Series in Scotia, Art on Lark Festival, and Lark Fest. 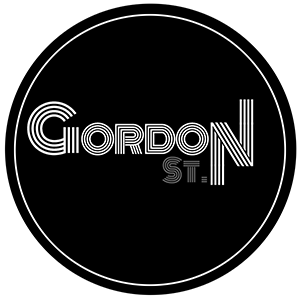 Gordon St.’s music is available for purchase and stream from digital retailers and streaming services.